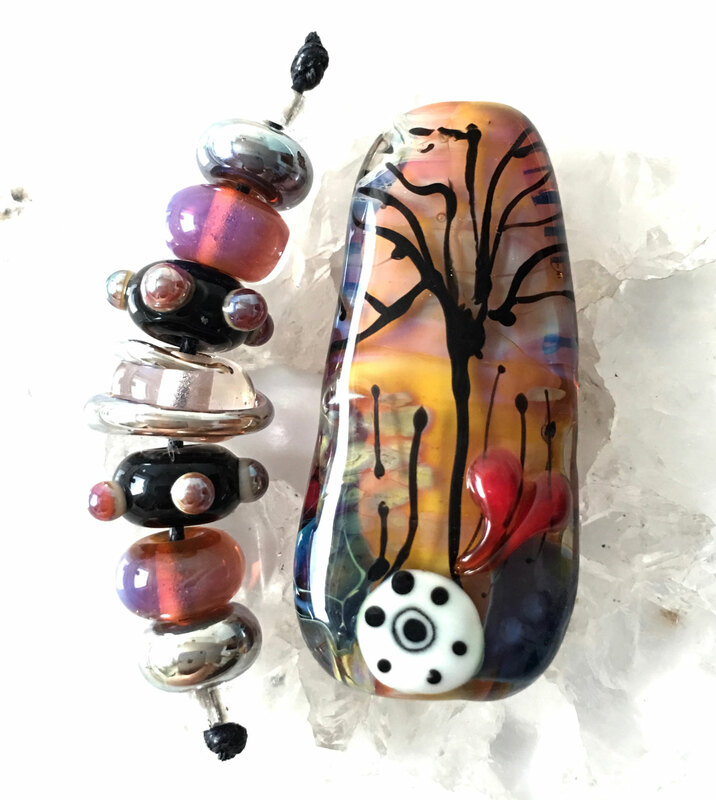 Made of Murano glass and silver glasses with a tree of life, own pulled murrini and a slightly raised heart. 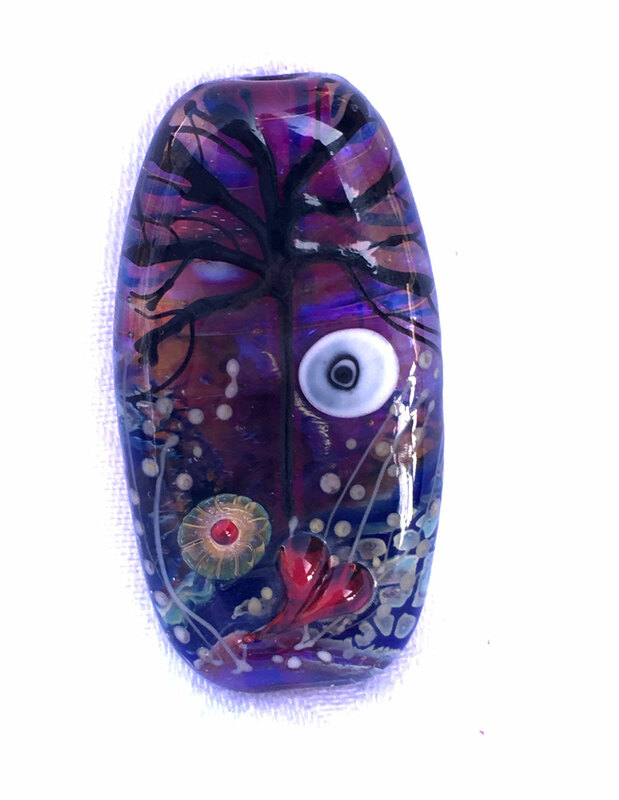 encased in clear and decorated with a tree of life. Hole is horizontally. Made of Murano glass and silver glass for cool color effects. These are from my soul comforter series and show a tree of life, with slightly raised hearts and own pulled murrini. 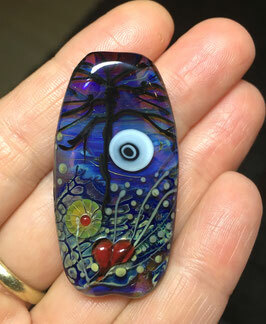 Made of Murano and silver glass for nice color effects. Decorated with own pulled murrini. 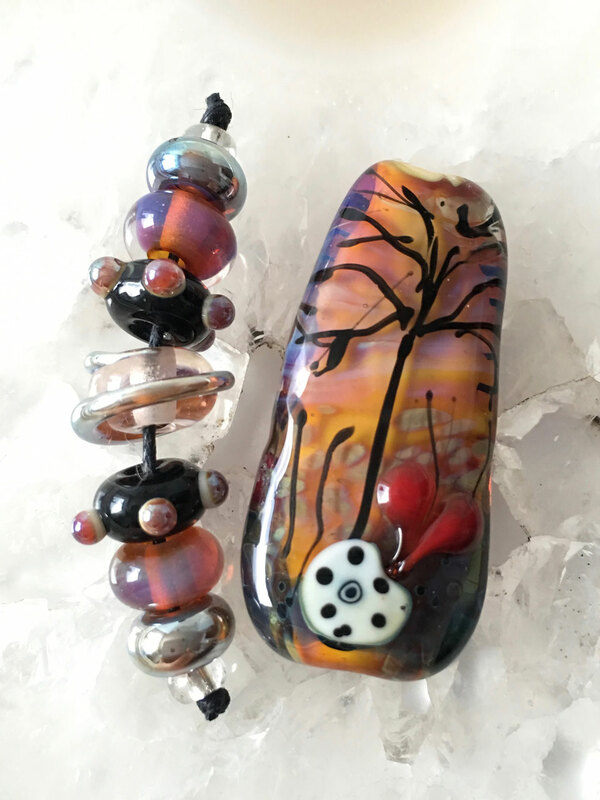 Made of Murano and silver glass with own pulled murrini and little metalic bumpy dots. Für deutsche und EU Kunden: In diesem Preis ist die gesetzliche Mwst. enthalten. Sie erhalten diese ausgewiesen auf der Rechnung! These are from my Soul Comforter Bead Series I started Oct. 2013 as my mum passed away. I restarted to make them again in 2015 as I lost my sister. These beads are full of emotions and passion and mean very much to me. I hope you love them the same as I do and maybe they are comforting your soul too if you lost someone you loved. 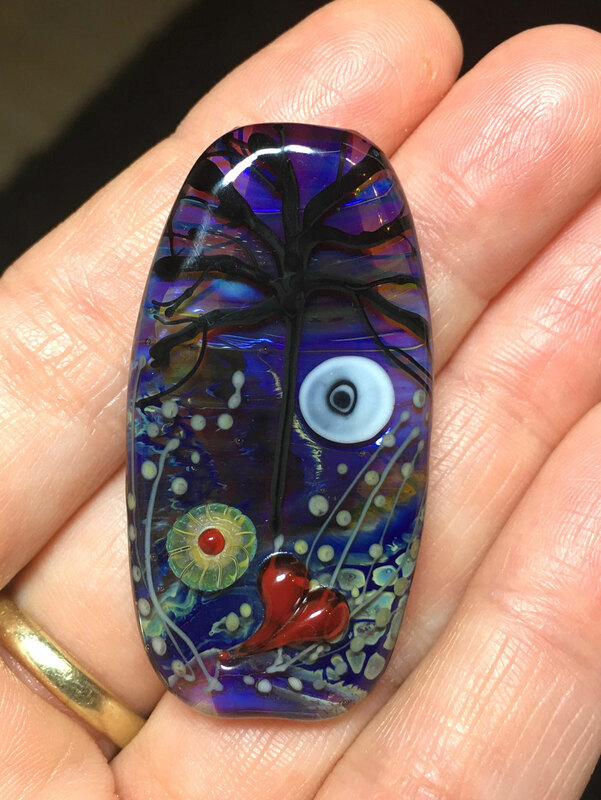 Made of different layers of silver glass and Murano glass with a slightly raised lipstick red heart.